Coco de Mer Hotel & Black Parrot Suites accept only one wedding booking per day – so your wedding day is really special. Coco de Mer Hotel - Your wedding ceremony can be held on our Sunset Pavilion – a covered gazebo, over the ocean. 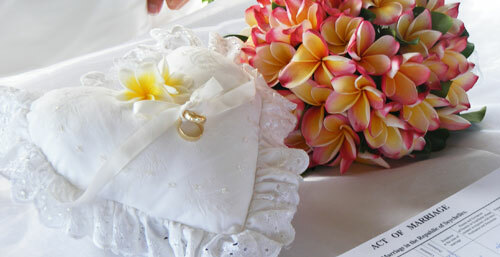 Traditional – decorated on a white tablecloth with frangipani flowers and a heart shaped ring cushion. Tropical – with multicoloured tropical flowers, placed on a banana leaf on the table and the rings presented in a coconut shell filled with flower petals. Ocean – on a haze of white or blue Organza, decorated with white flowers and seashells on the table and the rings presented in a clamshell on a bed of sea sand. The day after your arrival you will meet with our wedding coordinator to discuss the details of your wedding, where you will be able to choose your wedding location, theme, bridal bouquet/buttonhole, wedding cake etc. 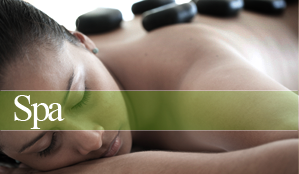 The ceremonial procedure will also be explained in detail.